Replenix Cream CF Review: Is This Product Worth Buying? 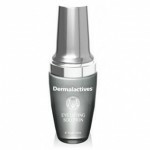 Infused with beneficial ingredients, this formulation is essentially for giving its user a more youthful appearance. This is a lightweight serum that contains clinically-backed ingredients to reach deep into the skin and provide essential nourishment and hydration. 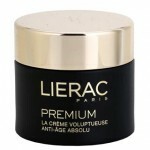 It also contains protective ingredients that help slow down skin aging. Soothing ingredients are added as well so that inflammation will be reduced, which helps prevent premature aging. If you’re thinking of buying this formula, you need to read our thorough Replenix Cream CF Review first, so you will know what it can really deliver. According to online retailers, Replenix offers pharmaceutical-grade formulations that are infused with a signature green tea extract. 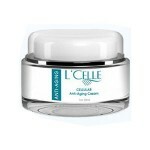 This company also uses other beneficial ingredients that moisturize, repair and revitalize complexion. 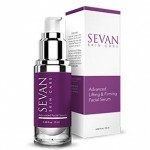 It is not a very well-known brand, but it has several products, most of which are for treating skin aging. This company is under Topix Pharmaceuticals Inc., which has several skin care brands that each use a signature ingredient. To use Replenix CF Serum with Caffeine, apply on clean and dry skin, massaging thoroughly to enhance the absorption of active ingredients. For optimum results, use two times a day or as directed by your skin care professional. Green Tea Polyphenols: These are antioxidants that neutralize free radicals to address one of the top causes of rapid skin aging. Some studies have shown that they also possess anti-inflammatory and anti-carcinogenic properties. Caffeine USP: It is said to invigorate the complexion and at the same time deliver powerful anti-inflammatory effects that can reduce eye puffiness and bags under the eyes. According to studies, it is effective in reducing excess water that can get stuck in certain areas of the skin. Hyaluronic Acid: This is a popular ingredient in skin care because of its powerful skin-plumping effect; it is one of the most effective natural moisturizers. Soothing Components: To fight inflammation and calm irritated, inflamed skin, this formula uses cucumber and chamomile extracts. 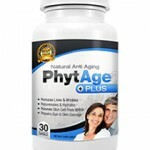 There are some components that are backed by clinical studies. Nourishes, soothes and deeply hydrates skin. There are good reviews from users. There is no substantial clinical proof that it delivers what it claims. This formulation is not from an established skin care brand. Some users say they are hypersensitive to this product. 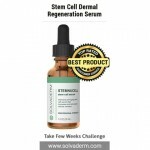 According to some customer reviews, it isn’t effective in reducing aging signs. This is not backed by a satisfaction guarantee and it is very expensive. 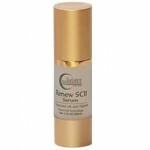 Overall, Replenix CF Serum with Caffeine is just an average anti-aging formulation. 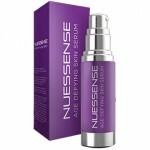 At this price range, you should expect an anti-aging serum to have more powerful active ingredients. This, however, is not even proven to be effective in delivering any youth-enhancing results. Instead of spending your money on this expensive product, look for other formulas that are proven to work; there are many such options on the market and most of them are more affordable. There’s no money back guarantee mentioned on websites selling this formula.